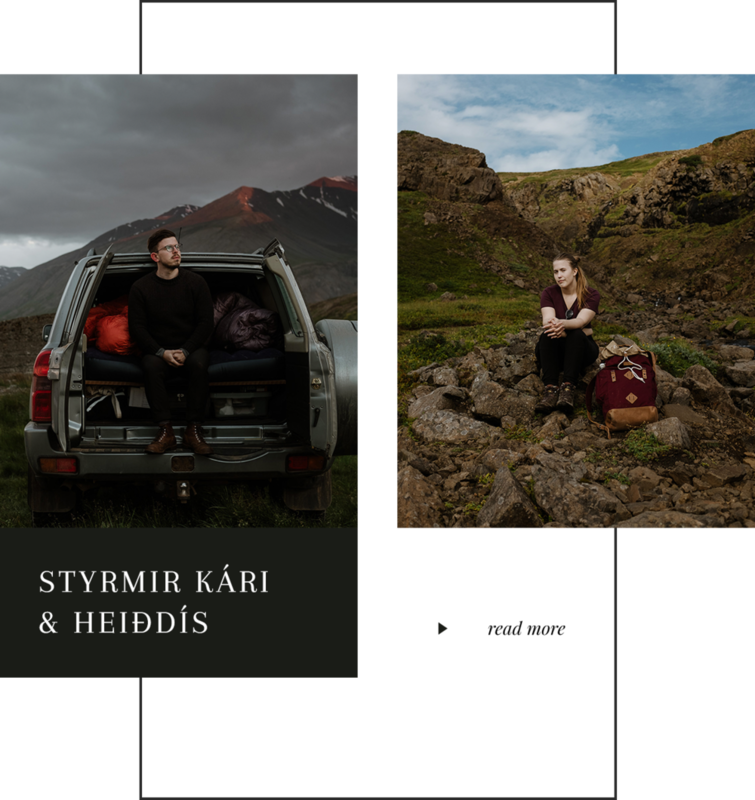 Rustic weddings, intimate elopements and adventurous couple shoots in the breathtaking Icelandic landscapes. Iceland has always been our home. This island has shaped our very core, our artistic vision and who we are as human beings. Now we get to document it’s profound affect on it’s visitors that come here to celebrate their love for each other surrounded by the breathtaking landscapes, facing the unpredictable elements. Coming from photojournalism and editorial backgrounds, we merge together our continuing search for the truth with our love for poetic and cinematic aesthetic, infusing our images with a sense of adventure. This is our way of creating something that is honest but aesthetically beautiful at the same time. Browse through our featured stories. Feel a connection to our work?